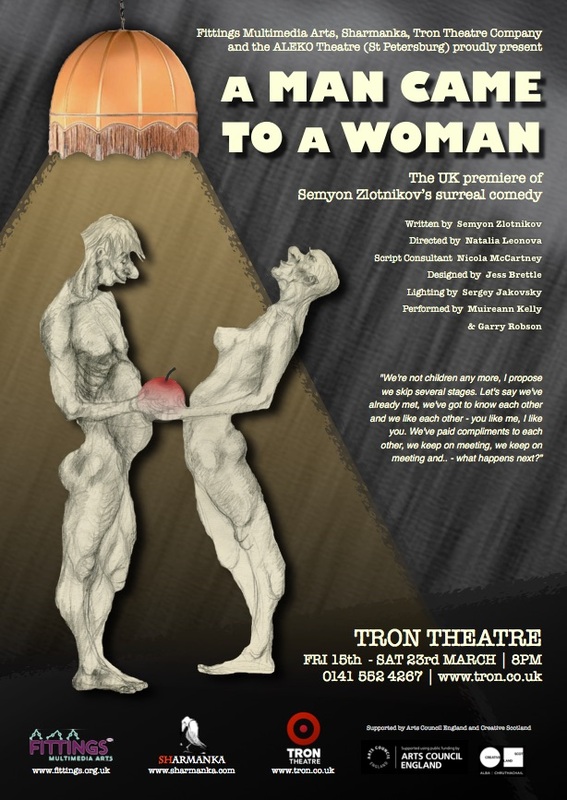 Fittings, Sharmanka and The Tron Theatre, in collaboration with Aleco Theatre, St. Petersburg, present the first UK staging of Semyon Zlotnikov's brilliant physical comedy "A Man Came to a Woman". Directed by Natalya Leonova. When you're not as young as you used to be and things are drooping where they shouldn't be and hair is sprouting but not where it should be, how do you find your perfect match? Banned in the USSR and hugely popular in post-Soviet Russia, Zlotnikov's surreal farce satirises the age-old conundrum of how exactly do two people of a certain age and an uncertain future meet and get along? "We're not children any more, I propose we skip several stages. Let's say we've already met, we've got to know each other and we like each other - you like me, I like you, we've paid compliments to each other, we keep on meeting, we keep on meeting and - what happens next?"